I hope you enjoy this short video with Max guest starring. Start by rolling your feet on a tennis ball or lacrosse ball or one of those foot massagers as shown. Then use a marathon stick to get deeper into your arches. Next, in a seated position, flex and point both feet at the same time for 15 reps.
Then flex and point, alternating for 20 on each side. From here rotate your feet outward for 30 seconds and then inward for 30 seconds. Kneel down and tuck your toes, come to a seated position and then straighten your hips 15 times. Then sit in between your heels and shift your weight left and right for about 1 minute. Come back to a kneeling position and lift all toes off the ground followed by keeping your big toe down. Do each exercise about 10 times on each side. Take a break in child's pose before crossing one shin over the other calf and sitting back. Then hold the same position on the other side for 30 seconds. Come into a low squat and hold onto a doorframe. lIft your heels and lower them 20 times then keep the heels down and hold here (ideally without holding on) for 30 seconds. Finish in Savasana with your legs up the wall. As I type this, it is the date that I should have been born (many years ago). I would have been an Aquarius instead of a Scorpio/ Saggittarius cusp baby. But I had my own mind, coupled with my mother's rather stressful relocation from Poland to Germany, I suppose. So, I was delivered at 8 weeks early, and 1.6 kg or barely 4 lbs and immediately flown out to a specialized NICU about 60 miles from my hometown. My baby boy is the size of a bunch of asparagus right now, according to the www.thebump.com app or the size of a coconut if you believe www.babycenter.com and making strides towards hitting the 4lbs himself. Grow, baby, grow. As mentioned in my blogpost about asthma, my premature arrival is probably to blame for my wonky lungs. When I'm in a positive state of mind, I see it as a blessing that I have been able to do what I do despite this disadvantage but sometimes I wonder what else could have been possible with properly developed lungs inside the womb. I guess we will never know. One thing we know however, is that despite my lungs, I have claimed my guaranteed entry into the NYC Marathon 2017 and will attempt to run it 7 months postpartum. My lungs are one issue we have been monitoring closely over the past 8 months along with my iron deficiency and unfortunately blood in my urine. It's unclear why it pops up but it hasn't presented an issue and iron can luckily be supplemented, so I have been on a daily routine of prune juice and probiotics before breakfast (to deal with other pregnancy related side effects), then coffee and any regular dairy like yoghurt, then leaving at least a 2 hour window before taking my prenatal and Floradix with a glass of grapefruit juice because Vitamin C helps the absorption of iron, whereas dairy products and caffeine, can block it. In the evening I usually take one calcium tablet dissolved in water since the baby now needs an extra 250mg of calcium from me to develop his skeletal structure and having gone through a near stress fracture, I am not willing to enter into that kind of deficit before labor, delivery and postpartum breastfeeding when women are often even more likely to develop osteoporosis. In addition to the above mentioned supplements, I have been seeing my acupuncture practitioner religiously from 3.5 weeks pregnant to "give the baby some ooomph" as she put it, to now when he dances around my belly each time she inserts a needle (elsewhere!). Acupuncture has been essential for minor aches and pains but mainly for emotional wellbeing and to keep my sugar cravings in check and combat fatigue. My practitioner reckoned that my spleen had been "tired" so she treated it and my cravings for non-stop caffeine and hourly donuts dissipated and made way for healthier choices. At least most of the time. I can not stress the wonders of acupuncture enough for hormone related issues that we women face. That brings us to my plans for the next few weeks. I had a conversation with a friend in Germany who is due in February and she couldn't believe that there was no subsidized, paid maternity leave for entrepreneurs in the US. She will be taking one year off from work, just like all my other friends (and still they think that more time with the baby would be better), and occasionally I weep thinking of the privileges that one enjoys back home. Alas, I'm here and love my job and my clients. So the plan will be to work as long as I can, just like everyone else and only stop working if and when I can't handle it physically anymore. Then, depending on my type of delivery, I'll treat the comeback like an athlete. When my body tells me it's fine, I will come back part-time and delegate more than I demonstrate. Should I need more time, I'll have to take it. It's a big unknown for the time being but I know that I'm doing my best on this end to facilitate the best recovery from a purely physical point of view. As opposed to what people may think, none of my physical routine is rooted in vanity. I had always said before pregnancy that I would stay as active as I could and it has kept me in good shape to hopefully continue what I love to do after the baby is born. These last 30+ weeks have taught me even more resilience, surrender, discipline and being good to my body, than anything else. Having the constant reminder in the form of jabs and kicks that I was doing this for someone other than myself has been good, since I am very capable of taking on too much and digging myself into a hole. Emotionally I have shielded myself from negative influences and accepted more that would have otherwise had me bang my head against the wall in stubbornness and frustration. Pregnancy has unearthed so much doubt, joy, inspiration, motivation, grief, love, aggression, fear and bliss that it can be a lot to handle at times. It has also shown me from day to day how there is an upside to most 'downside days' and usually it follows promptly. I am not sure what motherhood will bring. I can't wait to meet this little man and be a parent and have him show me ways that stretch far beyond my current imagination. A little known fact about me, the runner, athlete and personal trainer, is that I have asthma. I've had it my whole life but discovered the problem when I was competing at a high international level in my teens and going forward. That's when they introduced me to my first abuterol inhaler and ever since I picked up long distance running again in the past few years, my asthma has returned and I am currently on both, an oral medication and the inhaler for workouts. Asthma as a condition was always a stigma. It seemed like my otherwise so capable body tricked me and betrayed me in an area where I needed it most and felt so passionate about. I felt like a lesser athlete with my 'TUE' and regular check ups but mostly because in every other area of my life, whenever I set my mind to overcoming a problem, I would. I looked into why I had it and stumbled across a lot of scholarly articles that examined the correlation between being a preemie (32 weeks) and underdeveloped lung function. I didn't want to believe it because it seemed so final. But unfortunately it was true. Now that I'm pregnant I faced a different question from my doctor which was "do you want to wean yourself off the medication and see how pregnancy affects your lungs, or not". As it happened, I came to the end of my prescription some time at the beginning of my second trimester and had about a week without it. I don't know if I imagined it or it was true, but my running became more strained. I wheezed going up stairs and there are many stairs in NYC's subway. So when I saw my OB/Gyn next, I talked to her about it and we decided that since the medication is considered safe and hasn't shown any adverse effects on the baby, that I would continue. From the beginning, my doctor had warned me that in some cases pregnancy with its added weight gain, the pressing of the uterus up and into the lungs, the increased blood volume that has to be pumped by the same heart and ultimately the baby's weight, could drastically affect my asthma for the worse. She said in few cases, asthma was improved during pregnancy but nobody knows what to attribute it to. So here I am now, in the same conflict about taking a medication for my hobby that I probably wouldn't need in just regular every day life. Having mixed feelings about it. But then I remember how happy running makes me. How it is my "off switch", my happy place, my quality time with my fur baby Zola, how it's my community at races and how every time I get back home, whether it's 3 miles or 8, I'm happy! It improved my digestion in pregnancy, my mood, my cravings, it's healthy, it's social when a lot of other options for being social fall away and I think endorphins make my baby dance in my womb. So as long as I can, I will continue to run and take baby along on the ride. Whether it's at 9 min pace or 13 min pace. Whether I have to resort to treadmill running come winter or will have to add in walk breaks. My asthma is part of me and defines me in a way. But I have already found a way to overcome it, which is by living with it and doing so to my highest potential. After meeting Jen at the New York Road Runners Night at the Races, I was inspired to say the least. I watched her race and then chatted with her afterwards. She was approachable, easy to talk to, wicked fast and I was convinced that she had sponsorship. I was surprised to learn that while she's been tearing up the track, she's not spoken for (yet) but I have no doubt that with her form curve going up and work ethic, that will change soon. Apart from giving a lot of youngsters a run for their money, Jen is an entrepreneur, mother, dachshund lover, wife and somehow makes it all work and look easy. So I asked to pick her brain. Where do I begin? When I came across the new performance protein powder on the Vega website, I looked at the ingredients and they all jumped out at me because they've been mentioned individually as the pillars of recovery. I had never seen them all in one product though. Tart cherries. Probiotics. BCAAs. Turmeric. Glutamine. I'm a big proponent of recovery. I had been using the Vega Recovery Accelerator after every hard run workout but with the performance protein, I felt that once a week was enough. We live and we learn and deep down I knew I wasn't quite getting enough protein for my workload. Even worse, when I returned from a recent trip to Australia where I had only run but not taught much personal training, I noticed that after working with clients and a first class doing "Cardio Cross Training", my upper body felt pummeled. I had only done leg work but no push ups, dumbbell work or other resistance training for the upper body. It was embarrassing how weak I felt and how sore I got. 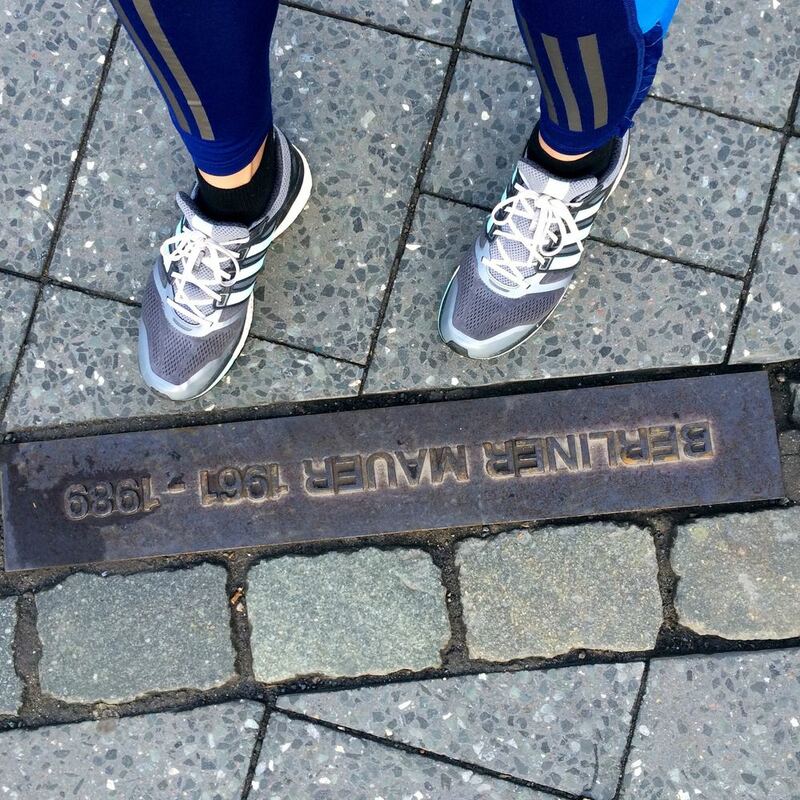 Before the Berlin Marathon, I worked like a Swiss precision clock. Every day of the week served a purpose: train early, coach others, refuel, remember hydration, entertain others, support others, wash, recover, rinse, repeat. For 16 weeks, I endured the humidity in NYC without giving it a second thought, I planned and dialed-in my nutrition for during the race and taught my gut to function like a well-oiled machine. The result was that I was able to execute my race plan very well. I was rested despite jetlag, fueled up well on carbs in the days leading up to the race and kept the legs relaxed. I was in a good place mentally to be patient, smooth, relaxed and attack the last six miles as a race. All that lead to even splits and I even managed to ingest almost 700 calories during the race, an all time high for someone with my sensitive stomach but I got the energy from it that I needed with a height of 5'11" and not exactly a frail frame. The moment I crossed the finish line, I felt ambivalent. The time wasn't what I had hoped for (read more about that, here) but I ran well and I was content with that. 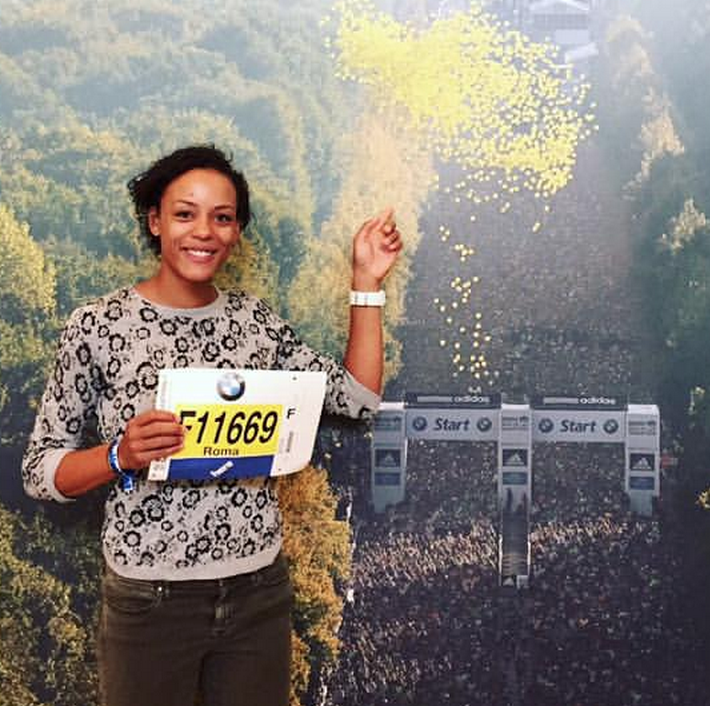 I had raced my second marathon ever, my 2015 goal race and my husband was in Germany with me to witness it. Sleeping in, having beers, eating myself stupid on all the things I miss in the US that are typically German to me (potato dumplings, bread rolls, stews, roasts, Schnitzel, good butter, garden grown fruit and veggies, Nutella, home made jams, Italian food made by 4th generation Italians with pride, and gelato). I saw friends, lingered at brunch for hours, became notoriously late (sorry! ), cuddled my friends' babies and just didn't feel like there was stress or pressure at all. It was a gear shift that I desperately needed. I read too often how people race marathons or other big goal races and immediately jump back into training within days. Signing up for races within weeks and just never shifting their mindset. I know this works well for some but it doesn't work for me and I think it's good to allow for a time out, physically and particularly mentally. From an exercise physiology standpoint, off-season is a phase that allows the body to restup for the next season. 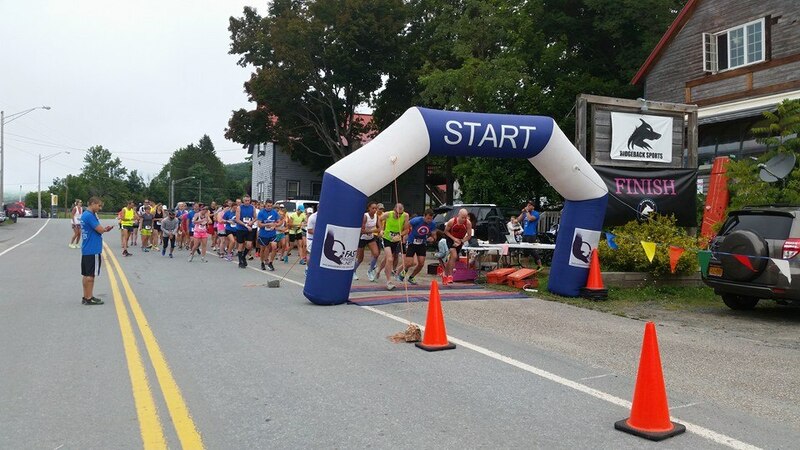 Unless you are running your races for fun, you should begin each new season with a hunger to surpass your previous year, get that shiny new PR and build on the fitness from before. People don't peak - especially in distance running - within one or two seasons. It takes stringing together several good years and consistent training to get there. This phenomenon is also called periodization, knowing what to focus on (pro athletes usually plan around World Championships and the Olympic games), accepting a dip in performance at the beginning of the new athletic year to be able to dial in the perfect performance when it is needed. Off-season is also a time to give back to the community around you, the spouses who don't run and are often a bit neglected, the friends who would like to catch-up later than 8:30pm, family, children, and many more. So here I am 3 weeks onward, I have written thank you emails and posts, I've resumed running and enjoy not being as winded as I run longer. I am starting to show more interest in planning my 2016 season, I am enjoying the feeling of fresh legs on most runs that are not fatigued by 70 mile marathon weeks and I'm startig to dial my nutrition in more to begin training again. I still don't remember how I would do a speed, interval and long run workout week in and week out but I'm sure it will be like riding a bike... one doesn't forget. to let your brain rest and stop overanalyzing every split, every mile and every workout. Happy Running, friends! As always, let me know if you agree or disagree, in the comments below. It's Wednesday in Germany and after 3 days I am getting to a point when I can put into words why Berlin Marathon left a bitter after taste. The facts are that I trained a very hard segment of 18 weeks, hitting my highest mileage at 70 miles/ week and staying healthy. I traveled to Germany and thought I had the jetlag under control, I was moderately anxious, more excited because I knew my fitness was good. I ran a 3:17 which was an improvement by almost 15 minutes, but wasn't close to the potential I thought I had and had shown in training, ahead of time. First of all I have to thank, several people who helped me get to the start line healthy and with only minor niggling pains and aches. There is one person who has tolerated my mood whether it's been up or down, day in and day out and that's Chris, my husband. Best supporter I could ask for in circumstances that I have chosen purely for "selfish" reasons. He understands and gives advice and always thinks of my happiness first. First and foremost: Melissa, my amazing coach of the Hansons Coaching Services. She has led me through the most intense year since I was a professional athlete, with expertise, experience, calm, patience and fun! I am so grateful already. Jason from Finishline Physical Therapy. Even though I wasn't there long, his knowledge and assessment of my plantar fasciitis has helped me tremendously. Brittany from Biota Acupuncture. "Roma, it seems you are anxious about the fact that you aren't anxious." Pretty much sums it up. Intuitive, kind and fun! Yves: massaging healer! She takes one look at my body and knows what I've done. I wish I could see her more! Chiropractor extraordinaire, Dr. Scott Keller! The person who healed my sciatica in the first place and told me that surgery on my lower back was not just unnecessary but total nonsense. Setting me straight since 2009! All these people devoted a lot of time and showed me so much empathy when I had moments of doubt and have helped me to the best of their abilities as well as celebrating my milestones along the way. Now for the pros and cons of the race itself. Everything you have heard about Berlin and its conditions, is true. The weather is perfect, the course is straight and on asphalt and there is hardly any change in elevation. The Berlin organizers send out a lot of emails with detailed information throughout the 3 months ahead of race day. Race fees are a lot cheaper than for any of the US Major Marathons ($90). Free massages post race and (alcohol) free beer. Security measures compared to the US are low so it's a big friendly gathering and its easy to meet friends and family post race. Berlin has 40 bands along the way which pose a great distraction. With 41,000 runners, the waves all got sent underway in approximately 30-45 minutes total. In comparison: NYC sends people on the course between 9:30am and 11am. In Berlin this causes, MAJOR congestion. What appears to be fun at the start line is runners being packed into corrals that will not hold everyone. At the start people start climbing the fences into the corrals, people push the fences out of the way and it's a general feeling of panic. There is literally no space to kneel down and make sure one's laces are tied. That is if you are anyone starting further back than with an official time of 3:29 hrs. The first three waves may have been better. The streets in Berlin are a lot narrower so the congestion lasts until km 10. WTF?! I have never said "excuse me" or "sorry" as many times in one race. It's frustrating and ultimately tiring. EVERYONE is trying to run the blue tangent. It's like the world's biggest conga line. People get so occupied with the tangent that they will veer sharp to the left and right to stay on it. Clipping heels and tripping others. At km 38 the congestion starts again as one rounds the corners towards Gendarmenmarkt and ultimately Brandenburg Gate. Also, the water stand at km 40 seems unnecessary and creates a major commotion on a street that doesn't allow for it. So the bottomline is, that I've learned many lessons. I personally made one mistake (maybe because the toilet situation distracted me) which was not to apply any body glide. Until yesterday I was peeling every pair of pants from my inner thighs each time I had to take them off. I will NEVER forget again. Diaper rash cream helps. Until I run so fast that I can run in the front corrals, I will steer clear of major marathons. I don't jojo well. It's hard for me to break and surge and constantly pay attention to where I'm stepping in a race. I run my best races when I'm in a position to race and do that in a straight line. So for now, I'm taking time off from running. I'm recuperating both body and mind and plotting my next steps carefully. I'm indulging, spending time with family and enjoying the fact that I don't have to do anything. Berlin has shown me that the marathon is a cruel master. A lot depends on what race day brings and being adaptable helps but is no guarantee. 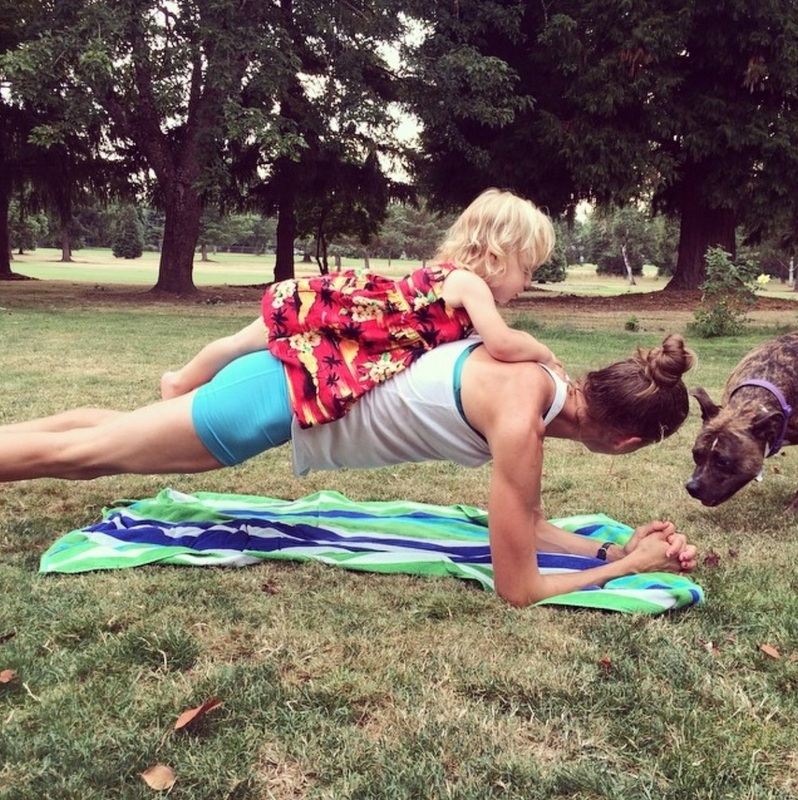 Athletes Corner: Jen Bigham - Mom, wife, elite runner... and check out those abs! How did you become a runner and what is your favorite distance? I started running the summer before 7th grade in preparation for middle school cross country. My dad was a runner and did local races and out of town marathons including the Boston Marathon and we would see him going out and enjoying his running every day. My older brother joined the middle school cross country and track teams the year before. While no one ever told me to become a runner, I naturally drifted to the sport. Running just always made sense to me. Your son is only 20 months old and you are back racing at an incredibly high level. What is special about racing vs “just running to stay fit"? I think both are important. I commend anyone out there being active, even if they don't have the desire to be fast or a competitive athlete. Personally, I just feel so good when I'm running fast and pushing my limits. I feel a great sense of accomplishment when I physically test myself. I like lining up at a race knowing all my hard training is about to pay off! Could you walk us through a typical day in your life - what do you find difficult as a mother of two young children? There really isn't a typical day for me! My husband works and travels a lot and I fit running in when I can. It might be early in the morning, it might be midday with the double stroller, or it might be during or after dinner! The only typical thing about our days is activity. My husband and I are both runners and our kids are little balls of energy. Outside of running, I'm usually doing something active with the kids. I think it's good strength work and cross training! There are lots of difficult things about parenting small children! I think the hardest parts for me are lack of sleep and making the time to run. I hear lots of people say the same things whether they have kids or not. Lack of sleep can make recovery REALLY difficult! I can't guarantee good sleep at night and I almost never get a nap. I'm a person who loves 8-9 hours of sleep, but these days I'm very lucky to get a stretch of 7 hours. I do what I can an know that I won't always hit my paces or get my exact workout completed but I do what I can each day and I'm happy with that. I believe you have to be flexible and proud of each time you get out there! Also related to recovery, when I walk in the door, my kids run to me and I switch from "serious runner" to "mom". It's easy to skip my dynamic stretching, foam rolling, post-run fueling and other important little things. My kids now know I do certain stretches right when I walk in and sometimes they join me or help me count them. I will take turns foam rolling with them or make sure I do it before bed once they are asleep. I try to make post run fueling something they can enjoy too like a fruit smoothie or Picky Bars for all of us! My other big difficulty is making the time to run. My husband and I talk about the next day's run every night and decide when we can each squeeze in our runs. We make it a priority and I'm lucky he's very supportive and understands. I was blown away when I read that you are still nursing and had read about you planning nursing and racing when your son was younger. Could you tell us if it feels difficult to combine the two or how you made it work postpartum? Yes, I was lucky enough to be able to breastfeed and I had the desire to do it, so I knew I would have to make it work with running and racing. I started pumping an extra bottle every day from the first week postpartum so I had a good amount of milk in storage. I will say that it wasn't easy, but it really wasn't that hard. I heard a quote recently to the effect of "it's not a sacrifice if it's something you really want" and I guess that's how I approach everything I do. Could you share some of your race highlights of the past years and the goals you have for the next few years? Since having my children I have accomplished PRs in every distance from 5k-marathon. Before kids I ran a 18:20 5k. My first race postpartum after my first child (when she was 5 months old), I shocked myself by running 18:06. I now have a 5k personal record of 16:38. Before kids I ran a 1:25 half marathon. 7 months after having my first child I ran a 1:21 and I currently have a half marathon PR of 1:15:59 (from January 2015 when my 2nd child was 15 months old). Before kids I ran a 3:14 marathon. 8 Months after having my first child I shocked myself again and ran 2:51. The marathon has been a bit of heartbreaker for me as I have encountered many stomach issues since having kids! I feel I have a huge PR in me in this event given all I've learned over the past 5 years. My ultimate goal is to qualify for the Olympic Trials for the marathon and PR in every event for many years in the future. I'm 33 and feel I have years of PRs in these legs! You are primarily plant based if I saw that correctly. How do you (re)fuel and do you use nutritional supplements? Yes, I eat mostly plant based. I do eat meat and fish occasionally, but most fruits/veggies/legumes/grains. My favorite ways to refuel immediately post run are: Vega products, Picky Bars, and bananas with nut butter! I try to get nutrition from food but during pregnancy and breastfeeding I take a prenatal multi vitamin and supplement with vitamin D often. If you don’t mind me asking, how much weight did you gain in your pregnancies and what was it like during and then getting back in shape? I was very "textbook" in terms of pregnancy weight gain. I gained approximately 30 pounds both times. It felt normal as far as pregnancy goes, and I was lucky the first time to have no expectations of what my postpartum body should look like! Immediately after having my first child, I remember thinking I was so small! After carrying around the baby and extra water and everything else I felt very light. Looking back at the pictures though, I realize I still looked 6 months pregnant or so! The weight fell off gradually, but fairly steadily for me. I was running a few miles daily starting at 1 month postpartum and was taking walks with the baby as well. I decided to chase some big goals around 4 months postpartum and with the more intense training came more baby-weight-loss and more strength. I held my baby almost constantly and noticed my arms were getting really strong! I did a lot of squats and lunges with and without the baby and noticed my legs were gaining strength as well. Within a year postpartum, I felt like I had my pre-baby body back. With my second baby, I knew a little more about what to expect and I think I got back in shape in about the same amount of time. I don't want to act like it's easy! You have to work really hard to get in shape again postpartum. But if you work really hard (and for me this was setting an aggressive goal and working towards it every day) it is possible to get your pre-baby fitness and body back. Some people (including me) find that you can exceed what you thought possible before having kids. I don't attribute my postpartum success magical baby powers. I have more focus and more reason behind my goals now and I train for myself and no one else. That's why I've been successful. Do you work out with a team or coach? If not how do you stay motivated day in and day out? I am lucky to have 2 elite marathoner brothers who are wonderful coaches. They give me training and advice and I'm thankful for them! It is hard to make training work with a team but I try to meet up with the Pittsburgh Pharaoh Hounds for runs when I can. I stay motivated by thinking of my goals. I have a lot of internal motivation. Of course my motivation comes and goes, but when it comes down to it, running fast is something I love so it's not hard to get out and do it! Do you run 7 days a week? What other exercise do you incorporate as cross training? I do run 7 days a week. I usually take one day where I run just 4 miles really easy. It's like my off day, but I like to get out there and have some time alone. I do some yoga as well and I add a little bit of strength work every day. I do the Myrtl routine from Coach Jay Johnson and do Bosu Ball exercises and planks. What is your favourite indulgence (food or other things)? I love food, coffee and beer. I think all of these things fit in with the running community pretty well! My favorite thing to do is run a great race and then enjoy the post race party starting with food and coffee then finishing off with some cold brews! I love the runner bonding that goes on post-race and could happily share and listen to "war stories" with other runners for hours! Have you had to overcome (running related) injuries? How did you do it? When I was in high school and college I was constantly injured. I had stress fracture upon stress fracture. I took 8 years off hard training and competing after college and have had very few injuries since (none have been bone related since college). I think I'm smarter about everything now. I'm smarter about nutrition and smarter about knowing when to push and when to back off. For example, right now, I'm supposed to be gearing up for a big half marathon. Just recently, my Achilles tendon started acting up for the first time in my life. I ran through it a few days, tried to ignore it, took a few days of VERY short runs, and did everything imaginable to try to heal it while not taking time off. (This is a very simplified and non-dramatic view of a tough few weeks.) At this point, a younger Jen would keep training and run that goal race, hoping the injury will be ok until planned rest after the race. The older, wiser Jen knows that it's smart to let the problem heal so it doesn't become a major problem later. I'm really upset because my training has been solid, but I can accept it and move on knowing there's always another race! What advice would you give someone who is a running novice or looking to get fit later in life and particularly if they are mothers with a set of responsibilities, tight schedules etc.? Be happy and proud of yourself for every little thing you do. I might have 10 miles on the schedule, but I'm happy if I fit in 6 on a crazy day. I might just do one plank for 60 seconds right before bed, but just like that, I've done some strength training today. I give myself more pats on the back than I probably deserve some days, but I think it's important to be proud of every step you take! Don't feel guilty about taking time to get in shape. My kids still have days where they plead "don't run Mommy!" It rips at my heart, but I also know I am helping them in SO many ways by making fitness a priority. Don't feel guilty about taking days off. Sometimes things happen. You are truly too tired, too busy, whatever the case may be, it's fine! So many fitness plans are derailed when someone misses just one or two days of working out. Deal with it, make peace with your situation and make sure you get out there again as soon as possible. How would you describe the emotional benefits of running, given that it is a sport that comes with a lot of highs and lows over time... You know, I've had a lot of disappointments with running, particularly when it comes to the marathon. The thing that keeps me coming back is - I enjoy the journey. I enjoy the feeling I get every time I have a great workout and race. I love the way running makes me feel on a daily basis. I love the energy it brings to my life. I love that my kids think being active is normal and natural. Even at my lowest points, I know I'll be back to training hard before long because I love chasing those "highs". Athlete crush? No particular person, but I crush hard on muscles. Big or small, doesn't matter. I love muscle definition! I am very pleased to present a second person in my series of inspiring women. Julia Webb wears many hats, she is an accomplished runner, mother to Joanie, wife to Alan Webb (American record holder in the mile), and running coach. I first saw her pictures with hilarious captions on there Instagram account (@runteamwebb) and then read her blog posts on her website which center on topics such as exercise, nutrition, pregnancy and much more. I love how sincere Julia describes the ups and downs of being an active mom, before, during and post pregnancy. In the interview below, you can read more in-depth what her thoughts are on making time for exercise, fueling during pregnancy, scheduling a busy day and keeping motivation high even on days that feel 'off'. After speaking to Jessica in the last interviews, Julia is another example of how amazingly women deal with the added responsibilities of motherhood and how the physical demands of pregnancy can sometimes make you a stronger athlete postpartum. Thank you, Julia! How did you become a runner and what is your favorite distance? I started running as a last resort to participating in a sport as a senior in high school. I never thought i’d ever become a “runner” as I saw it as boring, unathletic and something my mom likes to do. (she was never competitive, but always jogging throughout my childhood- my dad the stud basketball player and good at any sport he tried was my role model). My first “race” my mom successfully convinced me to run in was a local 5K the weekend before school started in fall 2000. Wearing a baggy sweatshirt, basketball shoes and no warm up, I got 2nd (21:15) to a coach who asked who I ran for. I explained this might have been my first 3 miles ever run in a row. My previous training was all geared toward basketball - lots of time on the court, regular time in the weight room and the occasional mile on the treadmill or around the school block to warm up for my lift. I had a miserable experience my sophomore and junior years playing basketball -despite my love for the sport and strong dedication, I had some major clashing with the coaches and lacked the power to be on our starting line up. We were a powerhouse but I didn’t have what it took, along with my lack of confidence, spiralling me into depression. I decided to quit before senior year but was desperately seeking a new athletic opportunity. After the race, I decided to show up for cross country practice. My first day I was amazed at how fun and easy the 5 mile run went by. A few weeks later at my first race, I put all my frustration from my basketball days into that competition, proving that I was good at something and gutted out a 7th place finish at a big invite. In complete agony, dying the final straight when everyone was kicking it in.. I ran a 15:40 4K time, beating my teammates by over 2 minutes. I found my sport. Something I was good at. I had never experienced anything to that degree, the nerves, pushing through the pain, being in complete control of my result. All I had to do was run hard and get from start to finish and the post-race high made it all worth the mid-race struggle. Not only the races, but the miles our team put into practice was the highlight of my day. From there I went on to run in college and have never lost my passion for the sport 15 years later. My favorite distance remains the 3000m steeplechase on the track. I love that its not as brutally long as a 5K on the track, but just 10 minutes of grinding and pain. The barriers add another challenge that favour my long legs and remind me of cross country, my second favourite event. I was fortunate to run it my freshman year (at UW-La Crosse)and with some great guidance in early steeple drill training, I was able to place 3rd at the national meet with a PR of 10:50. I finished 1st and 3rd, three more times at NCAAs and ended my college career with a 10:22 PR. Post collegiately I’ve run at three USATF Outdoor Championships (including a top 10 finish), a PR of 9:55 set when my daughter was 10 months old. I can’t wait to race it again, with my goal being- get on the 2016 Olympic Trials starting line with a 9 month old (currently pregnant). You race quite a bit and not even a pregnancy (or two) can stop you? What is special about racing vs “just running to stay fit"? I am addicted to racing! Some people like to go out with friends, others go out and dance... I get my high from racing! You can’t duplicate the energy and adrenaline the race environment provides. No matter what stage of fitness I am in (or condition - as in being pregnant), I don’t shy away from opportunities. I love testing to see where I’m at, using a competitive setting to push me to get the best out of myself. If I just ran to stay fit, I would definitely get bored fast. I need to mix up my training every 2-3 days with some form of speedwork. If I’m not sore a couple times a week, I better have a good reason! While I’m at it, why not reap the rewards of your fitness by doing a race. You are also a mother, wife and coach. Could you walk us through a day in the life? On days she is at home, I will either run with Joanie in the stroller, head to the gym for the treadmill/bike/pool (and utilize their childcare) or occasionally get up before dawn while its cool to run 1000m loops around our gated apartment complex with her monitor audible outside our apartment. If she wakes up mid-run, will let her watch a show in her crib while i finish up or drag the stroller out. You choose to keep a running and fitness regimen that puts many of us to shame. How do you (re)fuel and do you use nutritional supplements? Post run hydration is key with an immediate source of carbs/light protein. (apple and rest of my energy bar for example) to tie me over while I make breakfast. If you don’t mind me asking, how much weight did you gain in your first pregnancy and what was it like during and then getting back in shape? Initially in my pregnancy I gained a good 8 lbs my first trimester and up to a total of 25 lbs by the end of my second (started at same weight I was before second pregnancy). However, due to severe indigestion and extreme discomfort when I ate to any level of fullness, I gained 0 lbs during my 3rd trimester. Obviously the baby continued to grow, but I must have lost some body fat. She weighed 7 lbs, 15 oz, completely healthy, although my midwife had me checked a few times because I was “measuring small”. Getting back in shape postpartum was not much of an issue. When Joanie was one month old I was back to looking “normal” for me. I held onto 10 pounds for at least 2.5 months, but then I went through a very stressfu l cross country moving experience, and baby Joanie picked up some severe collic which made my life very difficult w/ lack of sleep and digestion issues-- from month 3-6 I dropped an additional 18 lbs (was at lightest post high school weight ever- while continuing to breast feed) - all due to stress. I was also very frustrated with a debilitating hip injury I sustained during the beginning of my 2nd trimester, still not healed and it had been going on for over 9 months, where I was unable to run without pain. I realized how unhealthy my weight was after friends began to comment, and got myself back into eating more and thankfully got some support in helping Joanie out. I got back to my former go-to race weight of 125lbs. By 6 months, with some physical therapy I was able to run painfree and got back into fitness very fast with the help of my coach. Only 3 months in of regular run training and intense workouts, I was back to PR shape, only to eventually be even better - with a more relaxed race day attitude, an even greater level of toughness my natural childbird experience taught me, elevated blood levels from the pregnancy. So, during my 8th season competiting at in the steeplechase, I dropped 20 seconds off my PR and also a good 10 seconds with only one attempt at the 1500m. Do you work out with a team or coach? If not how do you stay motivated day in and day out? Currently I am living in Arizona due to my husband’s triathlon training group, so at the moment I have been doing 90% of my runs/workouts solo. I don’t mind that I have complete control of what I’m doing now that I’m pregnant - so I can really read my body and not be tempted to go too hard to keep up with someone. In Beaverton, Oregon (our home), I typically meet up with teammates/friends at least 3-4 times a week, typically at Nike headquarters right by my house. Two of those sessions include hard workouts. I run for Bowerman Track Club and work part time as a run coach at Nike campus Sports Center when I’m back in Oregon. If it wasn’t for my teammates (Kristen Rohde, Karlee Coffee, Anna Connor) and my coach Jon Marcus - I would NEVER be able to reach my potential and push myself to the degree that I do during these sessions. I have been trying to really grasp the concept of recovery and backing off big time on my easy days. If I’m not fully rested going into harder sessions, I will be dropped in an instant. My motivation rarely ever wanes, I love being an athlete and constantly testing my limits, with my only desire to reach a higher level so I can justify living my life the way I do :) My husband is the true professional athlete in the family, so I always ensure that my needs are second to support him first. Until I have the opportunity to make any money in the sport, I will continue to see it as a hobby. What physical activities do you do on *gasp* rest days? Typically reserve the rest days for spending energy in the sun or playing with Joanie. I definitely try to move around on those days so I don’t feel like I’m missing out. The worst thing to do is sit inside all day if you’re “resting”. I try to pretend I’m a normal mom who doesn’t like working out. I try to remember to save the energy for the next day. Typically I take a full day off every 2-3 weeks. Getting a massage is also a great way to splurge on a day off. What is your favourite indulgence (food or other things)? Running :) obviously.. but outside of that, I LOVE coffee. Thankfully with pregnancy and living in a hot dry climate, my cravings have dramatically dropped, but still look forward to a daily cup of pour-over or coffee shop Americano. With pregnancy I’ll make a full strength cup but rarely drink more than 6 oz of it. Have you had to overcome (running related) injuries? How did you do it? Yes. Aside from a month long hip injury I sustained during over-stretching in a yoga pose during track season in college, I have had one serious injury to date and it was during my last pregnancy. It was probably one of the toughest things mentally I’ve had to deal with. I was running some pretty quick workouts feeling very strong and getting respectable race times in my first trimester of pregnancy #1 until I started noticing my right hip started aching right when my belly first started growing. I ignored it, thinking “I get aches and pains all the time, but this couldn’t be anything serious”. Ignoring it and running through it proved to be a terrible decision. Despite stopping all run activity, the pain worsened as the pregnancy went on. It took 6 full months postpartum to be pain free. I got all kinds of wrong answers during pregnancy, with doctors suspecting a stress fracture, etc.. I only realized post pregnancy it had to be a ligament or possibly a labral tear in my hip. Back in Portland after 3 months of no successful healing, I got exercises from my coach and saw a local physical therapy place for rehab and eventually it cleared up as I resumed training. What advice would you give someone who is a running novice or looking to get fit later in life and particularly if they are mothers with a set of responsibilities, tight schedules etc.? Create a time to workout in your calendar. No excuses as if you have to attend, block out the hour each day! My saving grace has been joining a gym with a childcare option. I have up to 2 hours to workout/shower for a very reasonable rate. Get support from your spouse, and if they are gone, find other moms who could possibly swap care to workout. Get a jogging stroller! Also another savior and offering me complete freedom to workout when I am without my husband. Starting as early as 3 weeks you can run with your baby (forward facing attachment) and weather conditions don’t apply (I’ve ran in torrential downpours - with Joanie nice and cozy under the rain cover, to negative temperatures (bundled up nice and cozy again!) . There are no excuses. If you work full time, run during your lunch hour or get up an hour earlier to fit it in first thing in morning (with coffee ready to be made, clothes laid out). Find a local running group that meets regularly to find same-level training partners and new workout friends. Sign up for a race to keep you motivated in training! Aside from my year long injury, I have experienced much more of the upside on emotional benefits! Yes there are days which turn into complete disappointments, you just feel plain terrible, or go through a funk where you don’t want to get out there or complete the workout. But I always try to push through those bad times, knowing they will all be worth it. In my first trimester just recently, I felt absolutely terrible on most “easy runs”, especially if I didn’t get out when it was under 70 degrees in the desert sun . I would frequently look at the side of the trail and think, "wow that looks like a great place to lay down" and just have runs when I couldn’t wait to finish. But each of those runs, when I did finish, I would be so thankful I got it done, because my trusty runners high would set in, and make me feel I could take on anything the rest of the day (with a nap of course!). I am so thankful for this sport, but try to keep my perspective that it is a gift and can easily be taken away. I try not to get carried away in making it my all, and see my faith in God, family and overall health as #1. Long runs or Speed Work? A combo of both - get the best of both worlds - I rarely do straight up long runs. Often my weekend long run is part of a grinding interval session! Garmin or carefree? I have only run with a Garmin once during Hood to Coast and got made fun of by my old school coach. I prefer coaching athletes with a Garmin though, so i have a better sense of measure. Solo or with company? With company!! I really miss my Oregon training partners !! It's interesting that as I type this, 2014 is nearing its end and I had opened the year with suggestions for resolutions. Well, you know that we all do this, we reflect at the end of the year and set BIG, LOFTY goals for the coming year. By end of January, at least half of them are forgotten or not met. That's a pretty masochistic approach to things, in my humble opinion. Now others would counter and say "YOU have a pretty masochist side yourself, young lady. After all, YOU are crazy enough to run marathons!". "And who in their right mind would leave a secure job in NYC only months after your husband did the same, then spend all your savings on a wedding and get a puppy in the process all while figuring out who you are in this new relationship with a husband instead of a boyfriend and as an entrepreneur instead of being an employee." To this I would respond: "those are all very valid points however, guess what? I'm happier now. That's all that matters". I thrive on goals. Projects. Undertakings. Attempts. Failures. Gettingbackinthesaddle. Breakthroughs. Fond memories. I particularly like working towards all these and experiencing how they change me, influence me and form my character in the process. Towards the end of my UN career, I had assumed the position of office rat pretty well. I worked efficiently and resented that my hours were still 9-5 despite the work being done. I worked out rather than exercising in a way that made me feel really good. I saw my friends for lunch but somehow quality time equaled after work drinks. I can't put my finger on it but it all felt a bit numb. The moment I left, something shifted. Maybe it was fear that spurred me on. I think I enjoyed the freedom of not going into work for about a week before restlessness set in. I spent some time back home in Germany where I slept, ate, slept, ate, met friends, slept and ate. By the time I got back to NYC I was recharged and ready to go. So since then there hasn't been a week that hasn't presented a slight challenge. First there was the official/ legal bit of forming a company, then came finding clients, then establishing a rapport with clients and trusting that they enjoyed what I was doing with them. Not all of them did, but I have learned that that's part of the game. There were first meetings that felt like going to a job interview and made me feel insecure and clumsy, there were first group workouts that scared me and resulted in many silly jokes that only I laughed about. I managed to get these things going and feel better in them (practice makes better - not perfect). Then I met the Every Mother Counts team and the first time I talked to their running events manager, Kristen, I had sweaty palms and felt like a giddy silly girl who talked way too much. That rapport is now better than ever ;-) EMC showed me how much fun it was to train for big races again. And I think this is where it clicked. When EMC agreed to have me run on their team for the NYC Marathon I received a new task: how to run a marathon in 4 months having never done it before. The training added a structure to my new self-employed life that was great as hard as it was initially to embrace it physically and emotionally. Working towards this goal and ultimately meeting it surrounded by a great group of people has made me happier, calmer, more set in what I want and who I am than I have been in a long time. So I decided I would do the same in 2015. So for 2015, the goal is to run the Berlin Marathon and expand my business further. Choose one BIG LOFTY goal in the more distant future and tell friends and colleagues/ clients about it! Watch them shake their heads in disbelief and prove them wrong with every inch you get closer to that goal. Break that goal down into meeting mileposts along the way, maybe every week, maybe every month and monitor that process. Write down how you feel along the way. Use pen and paper. There's something way more mindful when you capture it on paper than online. E.g. "felt like crap, super humid, never wanna run again". Or "I'm in love with running. I'm super fast!" Reward yourself when you meet some milestones. Whether you go for a nice meal, have a cocktail after a particularly hard / accomplished week or go for a massage, that's up to you. Do it. Find people at least 1 or 2 who understand what you are trying to do. It will take the pressure off your significant other and they will love you for that... really! Once you accomplish that BIG LOFTY goal, do something with that good feeling and give back. Inspire someone, donate to charity, give a homeless person on the train some change, do something to pay that fuzzy feeling forward. The more you do it, the more it will snowball and the more people will feel inspired to do the same. With that said: I'm running a 10k race today and guess what? Two moms who I have been training for a while signed up for the 5k. How is that for inspiration? And because having goals is great, they are already talking about joining me for a 5 mile race in January! I will be posting a sweaty photo of the three of us with medals and huge grins over the weekend on my Instagram and Facebook. Let me know how your goals come along! ... enough to lead a healthy lifestyle. I posted a photo on Instagram today because I realized that the more people enjoy leading a healthy lifestyle, the better they usually are at it. Most people associate discipline and hard work with a healthy lifestyle. They think, if they sign up for a gym although they don't like gyms, they have a reason to go and they then either waste the membership or drag themselves before and after work to get on fitness machines that bore them. But it was the only way I could fathom staying on the machine for 45 minutes. Suffice to say this routine didn't last long and ultimately I probably wasted the second 6 months of my annual membership by not going at all. This changed when I discovered Kung Fu for myself. Sidenote: If theres anything I hate more than fitness machines, it's working out after getting out of the office. But somehow with Kung Fu it wasn't a problem. I organized my days around getting out of the office earlier, even paid for a cab to get there on time and made sure I never went less than 3 times per week. It did wonders to my leg strength, my posture and core but most importantly it reignited the spark that I could be fit in a fun way again. Now my easy days of running consist of 45-60 minutes and some of my nicest runs have been with my running buddy K. with up to 2 hours... It's tiring, sweaty, hard sometimes but 90% of the time something I look forward to. Regardless what time in the day and in what conditions. I wish you the same!! If you have been sedentary for a while, make small gradual changes like incorporating a few days a week during which you eat well and take care of yourself. Ease into exercise and try them all! What doesn't work for me, could very well work for you. Mix it up if one thing is too boring. Don't mix it up in your diet during the 'good days' if that means you'll get tempted by over sugaring, overindulging, but instead keep it simple. Find companions. I have assigned people as training partners that never met before and they never meet outside of training. But suffering, I mean sweating alongside someone else, is motivating when you lack your own inspiration. Pay attention to what makes you feel good. Is it Savasana or burning legs, pushing yourself in the pool or shooting hoops with friends. The things that stay in your mind and make you happy are the ones that you should keep with. Now, all of that said, it won't always be fun and games. It's definitely good to stick with it through a bumpier period or when you've had to sit out injury related and are coming back in. But the more you make it a lifestyle the more it becomes ingrained in you. And then, it's a true act of self love. Tell me if you agree in the comments!